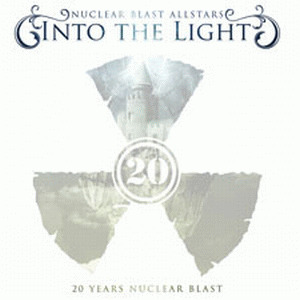 RAGE guitarist Victor Smolski is working on a compilation CD to celebrate Nuclear Blast Records' 20th anniversary, entitled "Into the Light". 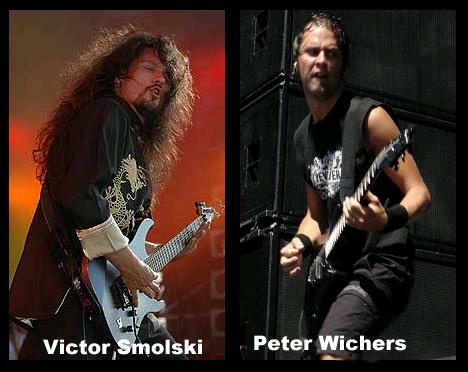 Smolski composed, recorded and produced about 10 songs for various metal artists that are part of the Nuclear Blast history, including a track that is being recorded and performed by his own band.Commented Smolski: "It's a great honor for me working at a large contract, a compilation CD for the 20th anniversary of Nuclear Blast. It will be an album with 10 songs of various metal bands of Nuclear Blast history, [and it will include] a new RAGE song, for which I composed, produced and recorded all guitars, keyboards and bass. I got support by Andre Hilgers (drums) and Peavy Wagner (lyrics). Except some vocal parts, all songs were recorded at VPS studio in Hamm, where Charly Czajkovski again did a great job. "During composing I tried, making all songs stylistic, and concerning the pitch of the voice, much comfortable for the singer. I didn't figure out, that, beside hearing out the different styles of the bands, the composing and arranging, I had lots of stress while doing clerical work as mailing and phoning. Thanks a lot to all singers for good cooperation. I think, this compilation CD is a real special and important project for Nuclear Blast. Special thanks also to Andy Siry, Jaap Wagemaker and Achim Köhler for support." "Into The Light" was the first present, now comes the second one: "Out Of The Dark", the evil twin of its predecessor. It represents the darker, heavier side of the NUCLEAR BLAST label roster. This time, the ten songs were produced, composed and played by Mr. Peter Wichers, well-known as one of the founding members of SOILWORK (even though he is not with the band anymore). For the drums he got a little help from his good friends Dirk Verbeuren (SOILWORK, SCARVE) and Henry Ranta (ex-SOILWORK). Just like on the first part, the vocals were sung by different singers throughout the whole NB history, among them Anders Frid?n (IN FLAMES), Bj?rn "Speed" Strid (SOILWORK), Peter T?gtgren (HYPOCRISY, PAIN) and even John Bush (ex-ANTHRAX) with his first studio vocal performance in years! "Out Of The Dark" is a really heavy and massive album – combining everything from raging Thrash Metal to frosty Black Metal. You can definitely hear Peter?s songwriting influence, but he really managed to write songs perfectly fitting for each singer. In the first place, "Out Of The Dark" is a freaking Extreme Metal record with powerful hits beyond every borders, then a "jubilee" record. It simply became a masterpiece, performed by great musicians and stunning singers. Just listen to the songs like the ravenous "Devotion" (with Jari from WINTERSUN on vocals) or the more melodic choruswonder "The Gilded Dagger" (with Richard and Robin from our shooting stars SONIC SYNDICATE on vocals) and you will agree: This album is one of the most fascinating and interesting metal records in years! Make sure to bang your head at this.